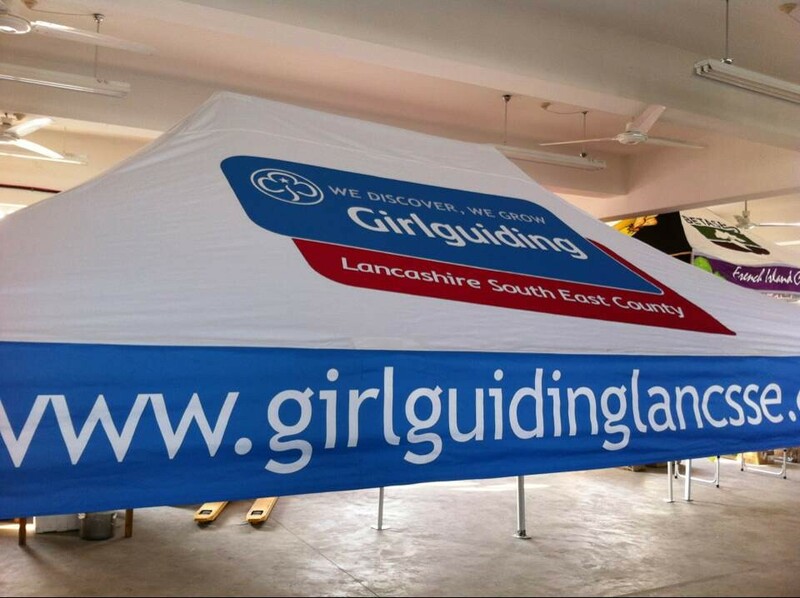 The County has a stock of ‘PULL UP BANNERS’ suitable for all sections, adult volunteers and student volunteers. 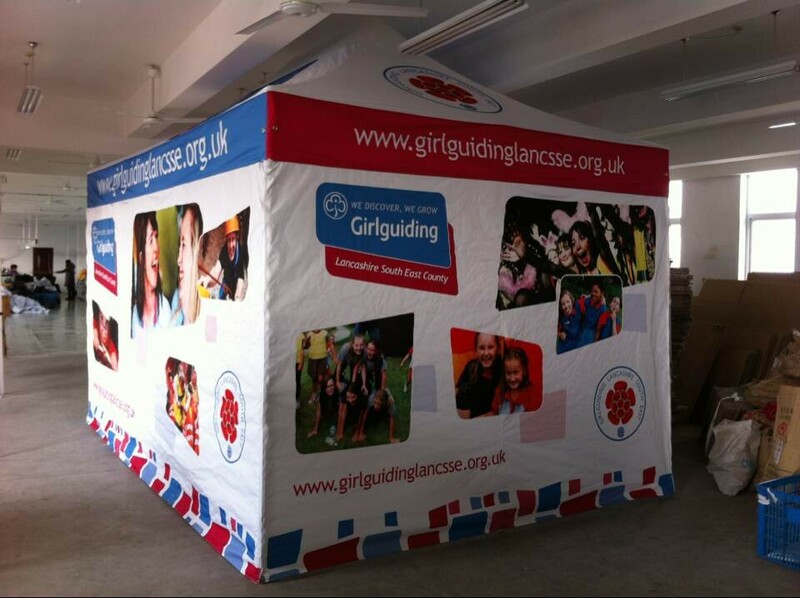 These can be used by anyone around the County at events such as parent’s evenings, carnivals, fetes and fairs etc. 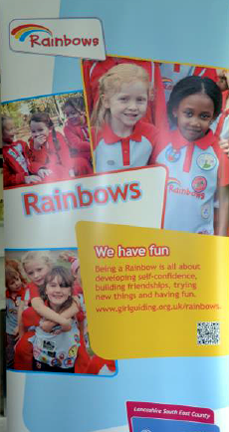 They are ideal materials to promote Girlguiding in our County and encourage new members. They are easy to transport and are easy to assemble. Spring loaded ‘roll up’ single sided banner Dimensions 850mm x 2,145mm Silver anodized aluminium casing Folding feet for stability Black nylon carry case included. Comes with instructions which must be followed to avoid damage. 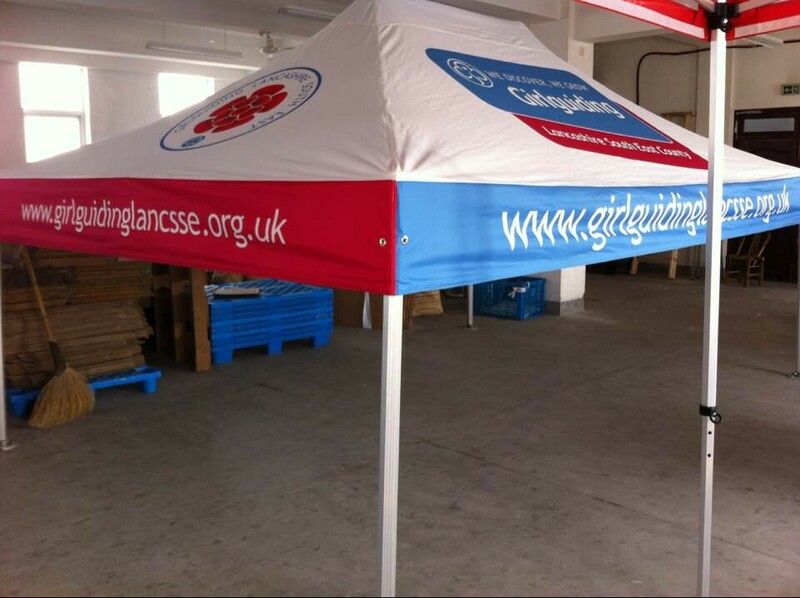 Please note that the gazebo is heavy and careful handling by at least 2 persons is advised.